Lately, I've been doing quite a bit of digging into the life of North Carolina Supreme Court Chief Justice Richmond Pearson. Like most people from the past, he is a complex person. Pearson is best known (during the War years) for his refusal to go along with Governor Vance's decision to use the North Carolina militia to enforce Confederate conscription law. Was Pearson a Unionist? Hmm... I've not really uncovered a personal statement from him on the subject. Maybe I'll find one. At the same time, many of the state's Unionists kept quiet on the matter while the war was being waged. Pearson did become one of the leading Republicans in North Carolina after the war ended. Turning to the 1870 Yadkin County Census, there are two black Pearson families. I am going to speculate that these are some of the former slaves of Richmond Pearson. Family one is the Winnie Pearson family. She is 56 years old, and there are five other members of the family: George (19), Nancy (18); Nicholas (14) Henry (12), and Jane (3). Two other black Pearsons are living in the Sylvester Speer (white) family, and list their occupations as laborers. They are Charles (23) and Sandy (24). It is possible that they are a married couple, and Sandy may have a different surname. There are no other black Pearsons in Yadkin County. There are a few others in Wilkes and Davie counties. So what happened to these enslaved men and women? How did they get the news of the Emancipation Proclamation, and more importantly, the 13th Amendment? Like other enslaved peoples, did they chose to stay on working for Richmond Pearson after the war ended, or did they simply walk away, looking to begin a new life elsewhere? I'm not sure I'll ever be able to answer those questions. It today's anti-Civil War craze, it is nice to see a good quality exhibit on local aspects of the troubles of the 1860s. 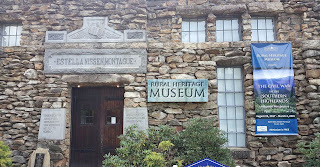 Mars Hill University has done just that, putting together exhibits and material on the War in the mountains. 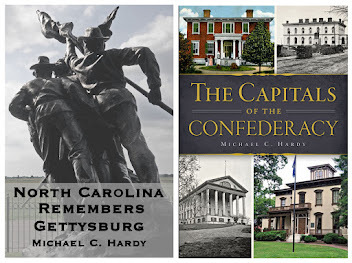 Madison County is a prime place to explore the topic. From early war violence, when the sheriff took a shot at a local Unionist, and was then killed, to the numerous raids into and out of the Shelton Laurel, the area had more than its fair share of conflict. Except in places like Bentonville or Fort Fisher, where large-scale battles took place, Madison County just might be the bloodiest ground in the state. Much of the exhibit focuses on the life of James Keith, lieutenant colonel of the 64th North Carolina Troops. 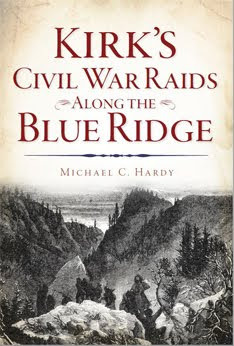 Some of his regiment were the men sent into the Laurel area to deal with the dissidents after the January 1863 salt raid into Madison. In the course of the exhibit and the accompanying video, a different theory is advanced that just maybe, Keith was not responsible for the thirteen killed that cold January morning. There are plenty of texts and documents to peruse, along with several artifacts from the area. I do wish the documentary and exhibit had gone a little further in their explanations. There are many period letters and newspaper pieces stating that gangs of men and boys were coming out of the Laurel area of Madison County and robbing people in the surrounding environs blind. A mention or two of those accounts would have carried the conversation even further. 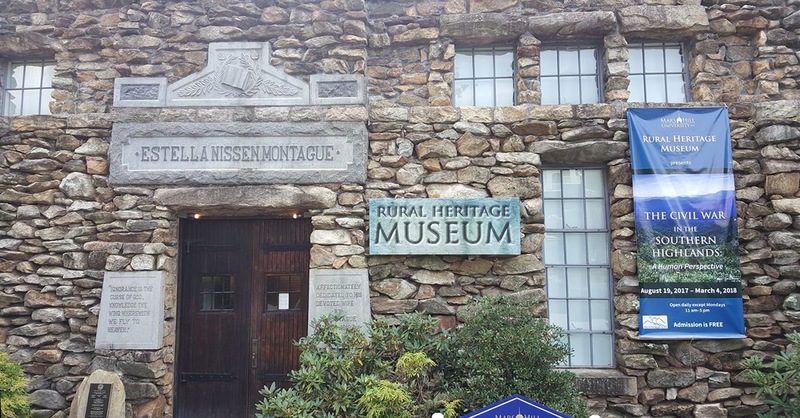 "The Civil War in the Southern Highlands: A Human Perspective," at the Rural Heritage Museum is well worth your time, and admission is free. It is always great to be on the campus of Mars Hill University. The exhibit runs through March 4, 2018. No room for nuance in NPR's narrative? In reading a piece on NPR on how "Confederate Statues were Built to Further a 'White Supremacist Future,'" it is clear that Miles Parks only wants to further widen the divisions that have always existed in the United States and which the media, unfortunately, exploits. Parks, and the others he quotes, miss one key element in their anti-monument pep rally : Economics 101. Enter the Second Industrial Revolution. In the last couple of decades of the 19th century, and the first 20 years of the 20th century, the United States entered a phase of rapid industrialization. There were numerous new discoveries and inventions, like the automobile. It boggles the mind to think of all the related industries beyond those of the plants of Ford, General Motors, and Chrysler that the automobile created. Oil had to be refined (and shipped), and gas stations, roads, dealerships, and repair shops had to be constructed. All of this would lead to the rise of inns for travelers to stay, and restaurants in which they could eat. Added to this were advances in machinery, tools, electricity and lights, etc., etc. By 1895, the United States had outpaced Great Britain for first place in manufacturing output. Economic growth between 1890 and 1910 was above 4%. People had jobs, had money to spend, and had money to give to civic projects. There were over 50 Confederate monuments raised in the 1910s and 1920s in North Carolina. The economy could support it. When the stock market crashed in 1929, followed by the Great Depression, the erection of monuments slowed to a crawl. Parks quotes Jane Daily, an associate professor at the University of Chicago as saying "Most of the people who were involved in erecting the monuments were not necessarily erecting a monument to the past, but were rather, erecting them toward a white supremacist future." Hmm. Professor Daily, can you actually prove that, or is that just an assumption? Which people? Where is the documentation? I've looked into the erection of North Carolina monuments for the better part of twenty years. First, there is no treasure trove of material, usually just little snippets of the past found in newspapers of the time. I've never seen an article, letter, or diary state "Oh, we're against African-Americas. Let's put up a monument so these people know who is still the master, no matter what year it is." Never. Maybe someone was thinking that , but historians cannot get into the mind-reading business without supporting evidence. Parks's article also seems to lead readers into thinking that these monuments just magically appeared overnight. 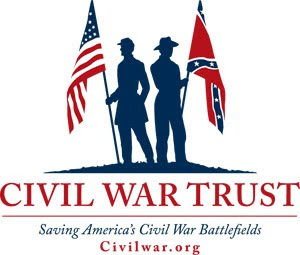 The truth of the matter is that it took years for the groups that erected these monuments (mostly women and many of them widows and children of veterans) to raise the necessary funds. In Stanley County, it took ten years to raise the first $6,000. That was in 1880. The monument was not actually finished and dedicated until 1925. In Burke County, the base of the monument was dedicated in 1911, but the bronze soldier on top was not dedicated until 1918. Economics is not the only subject that gets left out the discussion. What about the African-Americans in North Carolina who also participated in the fundraising or dedication of the Confederate monuments? 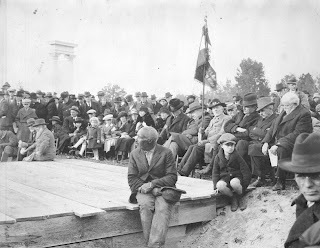 There is a great picture of the dedication of the Unity Monument at Bennett Place in 1923 that shows an African-American man front and center, sitting on a platform, apparently listening to something going on that we cannot see. Whatever is going on has his attention, unlike the row of politicians, or veterans, behind him, who appear to be mostly asleep. I wish we knew his story. There are other well-known photographs of black men, proudly bedecked in Confederate Veteran reunion ribbons and medals. Their story is complicated, and it needs to be told. Certainly, there is no doubt that life for African-Americans in the Jim Crow era was horrible. Even until quite recently, ridiculous and humiliating rules and assumptions were firmly in place, and they were as appalling and wrong then as they would be now. Not long ago, as our family watched Hidden Figures (an amazing movie that I highly recommend both for its treatment of the space program and of social issues), our younger child was stunned that anyone would expect someone to use a different coffee carafe because of her race. She had trouble grasping that such nonsense was ever perpetuated in our country, and kept asking "Did that really happen?" We should all be horrified that anyone could be treated the way African-Americans (along with many other ethnic groups) have been treated. Perhaps somebody in the process of putting up a monument somewhere did have nefarious intentions, but we do not know that for certain, and if we make assumptions about those people, judging them by our standards, we are not only misunderstanding the past; we are misunderstanding actual people, whose complex lives cannot be boiled down to a slogan or shoved into a box that suits our narrative, whatever it may be. We should recognize that the past is just as complicated as the present, that people are complicated, and that every era, like every person, is a mixed bag of both good and ill. In the end, I think just as strong of a case can be made for economics being a driving force behind the erection of Confederate monuments in the nation as the one for the era of Jim Crow. Very likely, some of both motivations, along with others, were part of the mix; people are complicated. At least with economics, it is easier to prove. Just look at the numbers. Perhaps Dr. Dailey's remarks have been taken out of context or truncated. It is possible her original words were more complicated, reflective of a more complex view of the past than the article demonstrates. While we cannot quantify how good or bad people are, how pure or evil their hearts may have been, we can look at their finances. Unfortunately, early twentieth-century economics doesn't grab readers and viewers, but if the media were more focused on telling a whole picture than on promoting division and fomenting conflict, maybe we would all view ourselves, and our past, with more nuance, and maybe we would be more interested in hearing those complicated stories than in calling names and making assumptions. 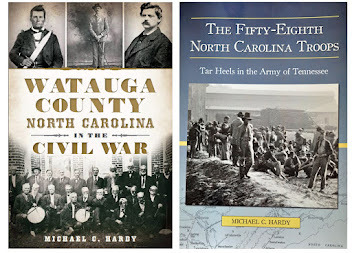 Colonel Hargrove, the 44th NCT, and the 1863 battle of South Anna Bridge. I was doing some research recently, and I came across this story. Sometimes, pieces like this make me want to dive in and write about a particular regiment or battle. This came from the Oxford Public Ledger September 24, 1908. 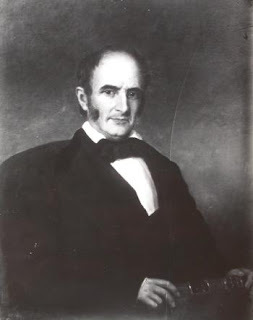 During the battle of South Anna Bridge, on June 26, 1863, Lt. Col. Tazewell Hargrove was commanding two companies of his regiment, the 44th North Carolina Troops, "about 80 men" against 1,500 "Yankees," engaging them for 4 hours - was himself knocked down twice, wounded in two places by sabre, in two places with bayonet, and after firing all the loads from his pistol, threw it at a Yankee and knocked him down, causing him to swallow several of his teeth. He [Hargrove] had sworn never to surrender and never did, but was captured by several Yankees who seized him and threw him down and held him, they were too thick around him to sabre or pistol him. Private Cash of Co, "A," stood upon the abutment of the Bridge, and ran a sabre bayonet through a Yankee, the bayonet sticking half a foot out behind his back, and had drawn his weapon for another thrust, when he was shot by two Yankees through the head. Private Cates of Co. "G," stood on top of a breastwork for an hour amid a storm of bullets, he was posted there to see when the enemy, who were formed beyond a little rising ground should advance. 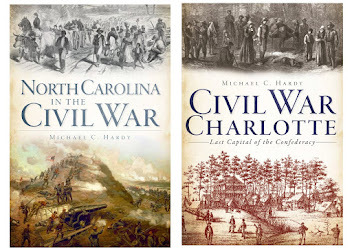 I [William H. Harrison, maybe] stood myself at the other end of the work, for a like purpose, and the Yankee who guarded me asked me if I was man who was standing at the other end of the work, with sword and pistol on, I said yes, and he good humouredly replied, 'well you are hard to hit. I took four deliberate cracks at you hardly 150 yards, but I am glad I missed you.'" 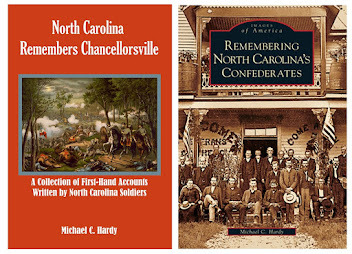 According to the NC Troop books, Volume X, Hargrove's coat was found after the battle with "eight sabre cuts." He was taken to Fort Delaware, and later was a part of the Immortal 600. 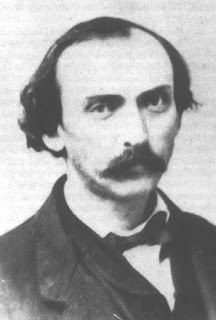 Hargrove survived the war, taking the Oath of Allegiance on July 24, 1865. 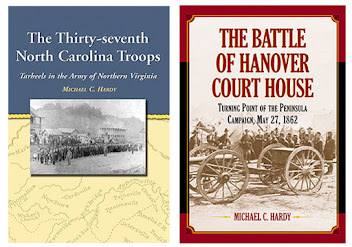 Once a year, I make the trip from the mountains to Fort Fisher, to speak at during the "Beat the Heat" speaker series. It is usually the last weekend in July that I go, which was last weekend. My family often tags along, looking forward to a quick trip to the beach before school starts. We were at Fort Fisher about noon and pulled into the parking area overlooking the beach. It was storming at the time, and we really had no other place to go. As the rain subsided, we could see two buoys off the coast. A little online research showed that these buoys mark the final resting place of the blockade runner Condor. The Condor was originally a steamer, 270 feet long and built in Scotland, with a crew of forty-five. On September 7, the Condor steamed into Halifax. She was reportedly loaded to the gunwales with war supplies. Before long, she was on her way to the port at Wilmington. The US Navy was alerted to the Condor's mission, and the North Atlantic Blockading Squadron was always on the lookout for ships trying to run into the Cape Fear River. Hamilton Cochran, in his 1858 book Blockade Runners of the Confederacy, painted this picture of what happened next: The U.S.S. Niphon was the first to sight [the Condor's] long, gray hull, a mere shadow in the darkness. Up shot the warning calcium flares and the chase was on... The Condor was thrashing towards the Inlet with every ounce of steam her boilers could produce A cloud of black smoke belched from her triple stacks. The Niphon's bow chasers barked and shells tore through the Condor's sparse rigging, then plunged into the sea in white geysers of brine. Ridge [the Captain] knew that he could outrun the Niphon, for the bar was close. To starboard loomed the Mound Battery at Fort Fisher. It would be only a matter of minutes now before the Condor would plunge within the protective range of those big Confederate guns. Just then, out of the blackness ahead, loomed a vessel's hull and spars. To the Condor's pilot that meant only one thing - "a damned Yankee" gunboat barring the way. In an instant response to his cry of "Hard a-starboard," the Condor heeled and swung away. Seconds later the keel struck the treacherous shoals to the right of the channel. She lurched, scraped, then came to a jarring halt... In the misty dawn those aboard the stranded Condor saw that it was not a Federal man-of-war that had loomed in their path, but the wreck of the British blockade runner Night Hawk... the Niphon moved in for the kill. More calcium flares soared skyward as the Union cruiser again fired at the helpless Condor. Instantly Fort Fisher replied and drove off the eager Niphon with a barrage of shells. The Condor later broke up in the relentless surf. 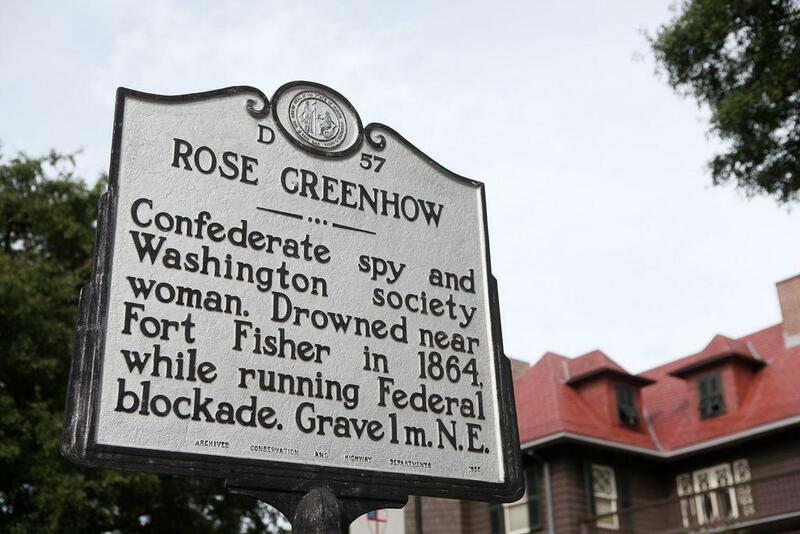 Among the cargo and passengers was the famous Rose O'Neal Greenhow. She was a Confederate spy, who had been captured, imprisoned, released, and then sent to Europe to help build support for the Confederacy. 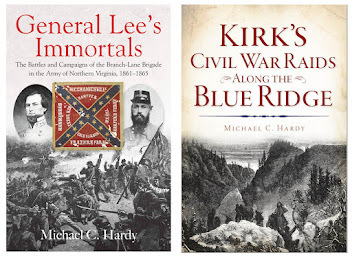 On August 19, 1864, Greenhow left Europe, bound for Richmond, carrying dispatches. When the Condor ran aground, she transferred to a rowboat, determined to reach the shore. The boat was swamped in the surf, and Greenhow drowned, possibly weighted down by dispatches and gold sewn into her skirt. 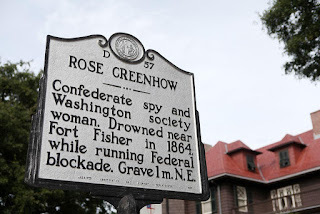 She is buried in Wilmington. The Condor was recently declared a North Carolina Heritage Dive Site by the North Carolina Department of Natural and Cultural Resources. The ship is roughly 700 yards off the beach, in 25 feet of water. Much of the Condor's infrastructure, like the boilers and engines, paddle wheel shafts and hubs, and other hull plating are still visible. The story of the Condor is just one story of the many stories of the blockade runners that are sunk in and around the Fort Fisher area. In the area between Wrightsville Beach and the southern tip of Bald Head Island are the wrecks of at least nineteen blockade runners, and three US vessels. There are more in the Cape Fear River, and along Oak Island, Holden Beach, and Ocean Isle Beach. Each of these also has stories to be told. I did not get to dive the wreck of the Condor. Maybe one day that opportunity will present itself. For now, I must be content on gazing off into the surf, wondering what treasures lie beneath the waves. The two buoys on the right mark the final resting place of the Condor.